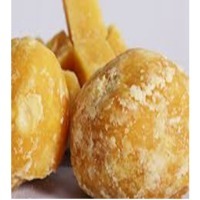 We manufacture, export, distribute, trade and supply Jaggery from Bellary, Karnataka, India. The Chemical free JOGGERY of Pharma quality , Ayurvedic health products. The Joggery is of Organic and Tested and certifed as chemical free. 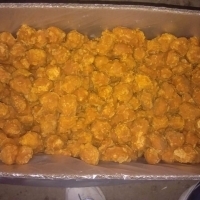 The product is available in 1 Kg pack. we are able to supply any qty required. It also export quality and exporting also. BENEFITS: 1. 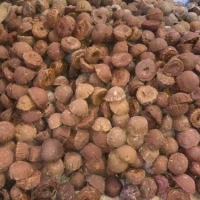 Jaggery is prepared without the use of chemicals in its processing. It is rich in important minerals like salts, magnesium which strengthens our nervous system and helps to relax our muscles. 2. 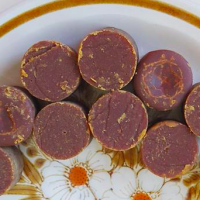 Jaggery with selenium acts as an antioxidant. The potassium and sodium present in it maintain the acid balance in the body cells and control the blood pressure in the body. 3. 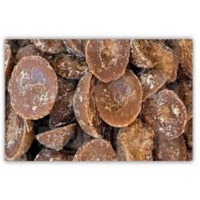 Jaggery is also rich in iron, and helps to prevent anemia. It also helps to relieve tension; take care of asthma because it has anti-allergy properties. 4. 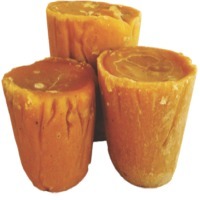 Jaggery mixed with water is known to provide relaxation to the muscles, nerve and help in getting rid of fatigue. 5. It helps to reduce the water retention in the body and eventually helps in controlling the body weight. 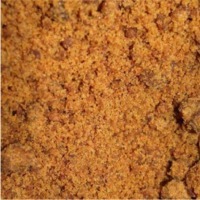 Jaggery is a more complex form of carbohydrate than plain sugar. So, it is digested and absorbed gradually and releases energy gradually. This provides warmth and energy for a longer period, without harming the internal organs. 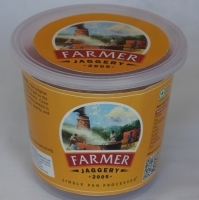 Jaggery, nature's own sweetener, is a traditional whole cane sugar made by boiling raw sugarcane juice in a large shallow round-bottom vessel. 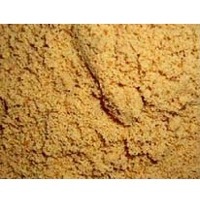 It's a concentrated product of Sugar Cane juice without separation of the molasses and crystals. It contains up to 50% sucrose, up to 20% invert sugars, up to 20% moisture content, and the remainder made up of other insoluble matters. 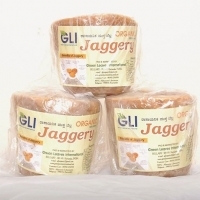 Sparrow Jaggery is prepared in the same traditional way with additional care on process control, adopting HACCP norms to meet International Food Safety standards. 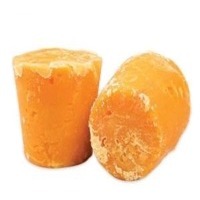 Our secretly guarded process parameters give Sparrow Jaggery a crystalline structure that is unique to it. Harmless, even if consumed regularly, this is a perfect replacement to chocolate for all those who live by nature and adopt healthy life style. Packing : Primary : Brick shape: 500g, 1Kg Bucket shape: 1Kg, 2Kg, 5Kg Container : 20' GP (23 MT) Stuffing in container : Manual stacking, un-palletized Different Names : Latin America and the Caribbean Raspadura (Cuba & Panama) Rapadou (Haiti) Rapadura (Brazil) Tapa de dulce (Costa Rica) Papelón (Venezuela) Panela, Chancaca and Piloncillo (rest of Latin America) Southeast Asia Htanyet; (Burmese) Gula Melaka (Malay) Gula Merah or Gula Jawa (Indonesian) Panocha or Panutsa (Philippines) Namtan Tanode (Thai) Elsewhere Sukari Nguuru (Swahili) Kokuto (Japan) Vollrohrzucker (Germany) Nutrional values: Parameters Value (per 100g) Fibre 0.0 g Ash 1.1 g Calcium 80 mg Phosphorous 60 mg Iron 2.4 mg Thiamine 0.02 mg Riboflavin 0.07 mg Niacin 0.3 mg Absorbic Acid 3 mg Source: India Port of Loading: Nhava Sheva (JNPT) Inspection: SGS, Control Union or Customer specified agency [Optional : inspection fee extra] Mfg period: Jaggery is manufactured during November to March. Short on time? 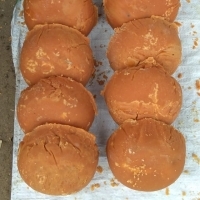 Let jaggery sellers contact you. 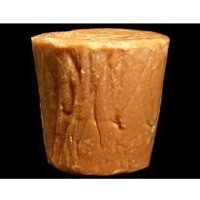 Jaggery Bucket Jaggery, nature's own sweetener, is a traditional whole cane sugar made by boiling raw sugarcane juice in a large shallow round-bottom vessel. It's a concentrated product of Sugar Cane juice without separation of the molasses and crystals. It contains up to 50% sucrose, up to 20% invert sugars, up to 20% moisture content, and the remainder made up of other insoluble matters. 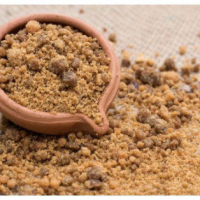 Sparrow Jaggery is prepared in the same traditional way with additional care on process control, adopting HACCP norms to meet International Food Safety standards. 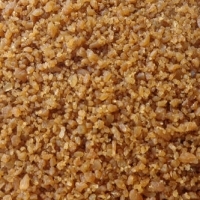 Our secretly guarded process parameters give Sparrow Jaggery a crystalline structure that is unique to it. Harmless, even if consumed regularly, this is a perfect replacement to chocolate for all those who live by nature and adopt healthy life style. Packing : Primary : Brick shape: 500g, 1Kg Bucket shape: 1Kg, 2Kg, 5Kg Container : 20' GP (23 MT) Stuffing in container : Manual stacking, un-palletized Different Names : Latin America and the Caribbean Raspadura (Cuba & Panama) Rapadou (Haiti) Rapadura (Brazil) Tapa de dulce (Costa Rica) Papelón (Venezuela) Panela, Chancaca and Piloncillo (rest of Latin America) Southeast Asia Htanyet; (Burmese) Gula Melaka (Malay) Gula Merah or Gula Jawa (Indonesian) Panocha or Panutsa (Philippines) Namtan Tanode (Thai) Elsewhere Sukari Nguuru (Swahili) Kokuto (Japan) Vollrohrzucker (Germany) Nutrional values: Parameters Value (per 100g) Fibre 0.0 g Ash 1.1 g Calcium 80 mg Phosphorous 60 mg Iron 2.4 mg Thiamine 0.02 mg Riboflavin 0.07 mg Niacin 0.3 mg Absorbic Acid 3 mg Source: India Port of Loading: Nhava Sheva (JNPT) Inspection: SGS, Control Union or Customer specified agency [Optional : inspection fee extra] Mfg period: Jaggery is manufactured during November to March.